The narrator and the doctor are the two characters in Miss Molly had a Dolly. Tommo sings the narrator's line and the doctor's line is sung by Ed. Accordion, fiddle, banjo and flute play the musical links with mandola accompanying them. The musical links are part of the Irish traditional hornpipe called The Beggarman. We use this tune as counterpoint to our sing-along song because the start of the hornpipe is very similar to the song's melody. Click on the play arrow above to listen to our version of Miss Molly had a Dolly set to Irish music for kids. Go to our Miss Molly page where you can share our nursery rhyme with your friends and/or buy the MP3 download. And he said "Miss Molly put her straight to bed"
Click on the arrow below to watch our youtube video clip of "Miss Molly had a Dolly"
Social, Personal, Health Education: Imagine the dialogue between Miss Molly when she talked to the doctor on the phone. What was in the doctor's bag? 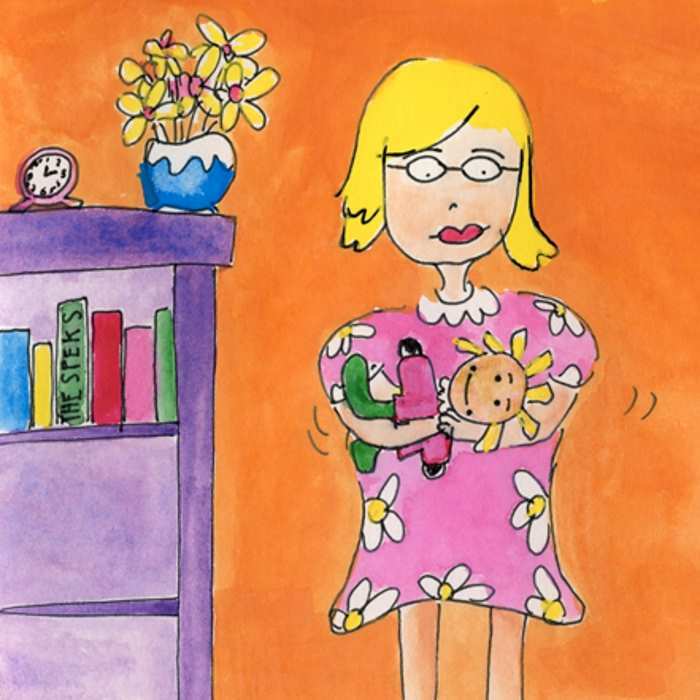 (A thermometer, stethoscope and bandages, etc) How did the doctor treat Miss Molly's dolly? Outline the doctor's role in society. Expand to include pharmacies and hospitals.